Today's post is inpired by many New Years resolutions I've heard throughout the years that concern wanderlust and cooking as separate 'points'. My thought was - why not put it together? Want to read more? Perhaps add a little something to your New Years Resolution? First things first - Happy 2015, everyone! Hopefully you had a joyful Holiday season and are ready to kick 2015 into high gear! Now, back to the post. This is something I've been listening to for many years - people making resolutions about traveling the world, or learning to cook something. Yet, somehow, I never heard someone saying 'My resolution is to taste Indonesia'. I do realize it sounds a little...curious, but it seems to me like some people push food to a secondary, or worse, tertiary priority when traveling and that is almost criminal. Food and culture, in my eyes, are inseparable! In my humble opinion, you simply cannot get a better feel of the 'local' life than when tasting local cuisine in a restaurant that doesn't necessarily have a place in the Michelin Guide, but will surely be bustling with local people, who are there for food that truly 'hits home'. Thing is, it's easy to go to a McDonalds for a meal, or the nearest Starbucks to get your coffee fix. 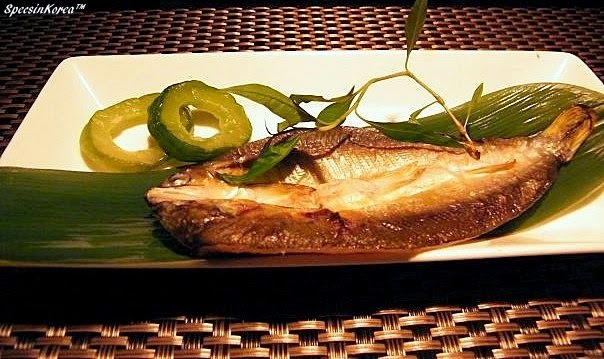 And, chances are, you will find some local 'exotic' additions to the menu. However, you are cutting yourself away from a plethora of opportunities at making wonderful gastronomic discoveries. Will it be a gourmet dish, served on finest china? Highly unlikely! Does it mean it will be any less good? Not in the slightest! Now let me talk a little about the Dinner of my Dreams. If you could go anywhere in the world, and have absolutely anything for dinner, what would it be? I spent a lot of time thinking about this one... I'm a foodie and it is never easy to answer questions when it comes to my favorite foods. So if I could have anything for dinner, what would it be?? My answer is both simple and complicated - Kobe beef steak. Simple because it doesn't require many ingredients. And complicated because you pretty much can't get this anywhere but Japan. I know, I know, there will be people judging me because it's meat, but all I can say is - to each their own! If I had to go into more details, I would say that my Dream Dinner would be at the Ninja Akasaka restaurant in Tokyo. Why? Look it up! The restaurant is (quite obviously) ninja-themed. To get to the seats you need to walk through an array of secret passages, the restaurant itself is made to look like something from an old Japanese movie, not to mention that the staff are both dressed as ninjas and really entertaining as they perform the littlest tasks while keeping in character. It's an amazing experience that encompasses a fun cultural experience as well as truly scrumptious food. To answer the question that's probably tickling your brain - yes, I have already been there. Once, back in the day when Instagram pretty much did not exist, and photographing food was an actual occupation (2009, which seems decades ago right now). Thus, I don't have many pictures, and sadly, I don't have the picture of the exquisite steak dish that makes my mouth water to this day just thinking about it. The restaurant itself is in Akasaka - one of the 'fancier' districts in Tokyo, and isn't particularly difficult to find as there are directions on their website. The only problem for foreigners could be the language barrier - the waiters speak limited English, thus you might have to bust out those pocket dictionaries if you want to say/ask more than what concerns the items on the menu. Menu has English translations, not always accurate, but good enough so you're aware of what's going into your stomach. Oh, and the price tags for the 'set' meals are a little on the steep side, but hey it's the Dinner of my Dreams! 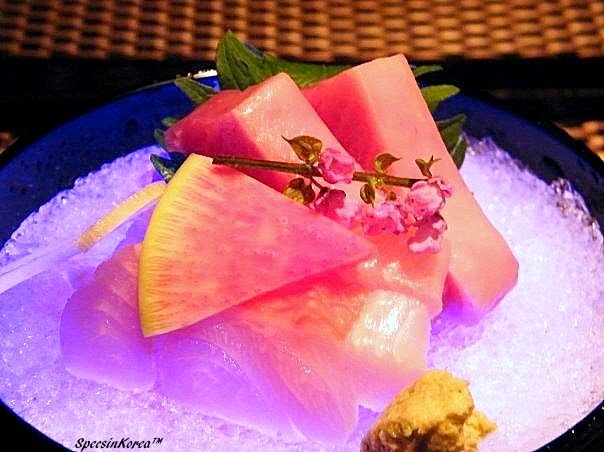 The food itself, as you can see, is presented most splendidly - starting from the top we have white grilled fish, salmon sashimi and two kinds of ice creams. 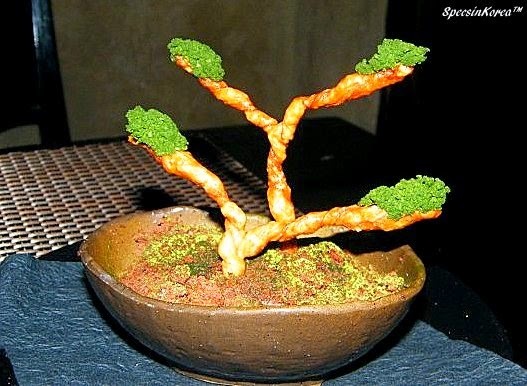 Yes, the bonsai is a desert - the branches are made of hard crackers and the 'ground' is chocolate ice cream sprinkled with matcha powder. 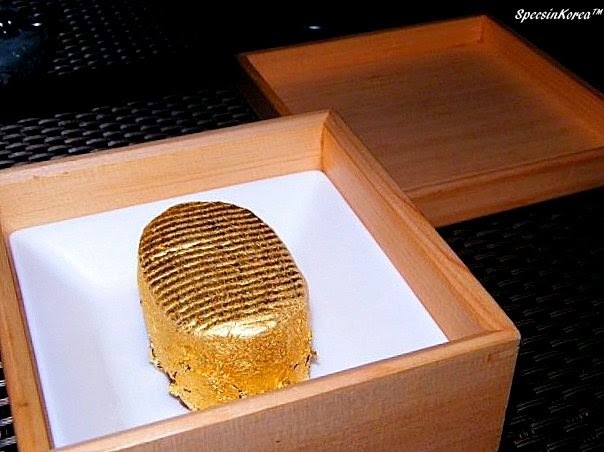 The gold 'brick' is also ice cream, coated with culinary gold and absolutely delicious! As I firmly agree with, the Japanese belief that food should be pleasant for the eye as well as the mouth, you can see why this would be the Dream Dinner I'd go for. However, you ask me, what to do if some places don't have English menus or English speaking staff? Here comes the tricky part - if you want to taste genuine local food, chances are you'll end up at a family-run place, that is really off the beaten track. That also goes for countries that aren't very advanced in the English department (no judgment, just a fact). So my advice is - do your homework! Yes, the dreaded word 'homework', but trust me - it will be worth the effort. Before you travel somewhere familiarize yourself with the local cuisine - browse around for typical ingredients and meals, writing them down somewhere for later use. Believe me, you will be happy you could tell 'pepper' from 'tofu' when ordering something. How, you'll ask me? That's what friends are for! Find someone with at least a rudimentary understanding of the language and ask them to give your some pointers. If that isn't an option, you can always use web-translations, just make sure you're translating single words, or very short phrases. Another advice would be to at least listen to the pronunciation of the words/phrases you're learning. I know that perhaps you're only traveling for a week or so, and you don't plan on hitting too many 'local' joints, but you will be doing yourself a favor if you learn at least the major ingredients/dishes that the country has to offer. Sometimes, however, using web translation services provides an abysmal, albeit hilarious, results about water-polo or other completely unrelated subjects. And you will certainly encounter restaurants ready to serve you 'human chicken' at one point or another. The situation is improving, albeit very slowly, and I am still surprised that bigger companies don't utilize the translation software and other resources available almost anywhere in the world. Back to the whole idea of dream dinners... You don't have to travel a thousand miles to find delicious food. You don't even have to go out the door, sometimes, as you can get many ingredients delivered by post these days! All you need is an adventurous spirit and a good recipe or two. As long as you keep the ingredients -somewhat - authentic, you'll be able to experience a touch of exotic cultures at home. However, and that's where I'll end my little post for the day, never say no to food when traveling! 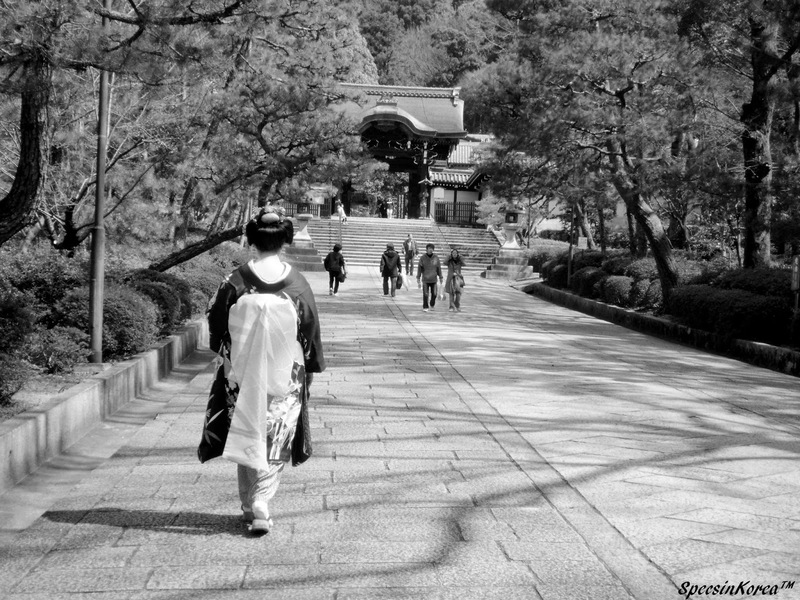 As long as you are mindful of any allergies you might have, and general hygiene, you will be able to experience different cultures in ways not many people do. That way, when you come back from your trip from, let's say Korea, you'll be able to take your friends to a Korean restaurant and point out how wrong everything tastes! Or, maybe, you'll discover new dishes that your digestive system is fond of, and will start trying to cook them yourself. That's it for today! I wish you a wonderful first Monday of the year! I'd love to hear about the Dinner of your Dreams, so comment bellow or catch me on Twitter!